So I have been meaning to post more woodworking posts and videos on here, and with the plethora of woodworking videos available on YouTube there are certainly a lot of options. Anything by Roy Underhill of the Woodwright's Shop is definitely at the top of my list, as he tends to emphasize old school hand tools that don't require any electricity. And for off gridders, anything that doesn't use electricity is definitely the thing to get. However I could not find any Roy Underhill videos demonstrating how to use an adze (or how to make one). They exist, and I know this because I have watched them, but I cannot seem to find them right now. So we will have to make do. So the first video is from Scott Wunder from "WunderWoods" who demonstrating how to use an adze. 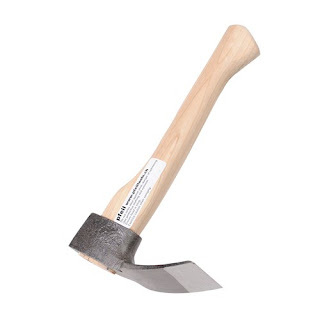 The second video further below is how to make a stone adze using stone age materials. Clearly that design can be adapted to metal if someone wanted to. 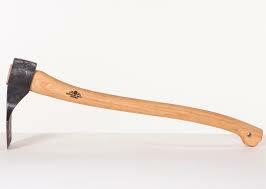 Adzes can also be used for hollowing out a log into a bowl. So the third video below covers that topic. Last xmas I got a small adze as a gift and in the future I will be using it for bowlmaking - and possibly for trimming wood off a stave during bowmaking too, but we shall see. I will try to remember to make a video of the process.